It's really cool drawing, but there are so many icons and words that you can hardly see the pic. 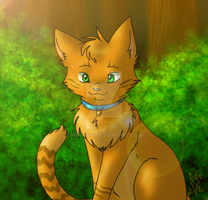 I really don´t care :3 My warriors art have been stolen so often, I put watermarks on them so one can still see them but find them not good enough to steal them. 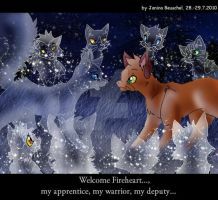 Plus this is awesome and I like Cinderheart but not Cinderpelt... is that weird? 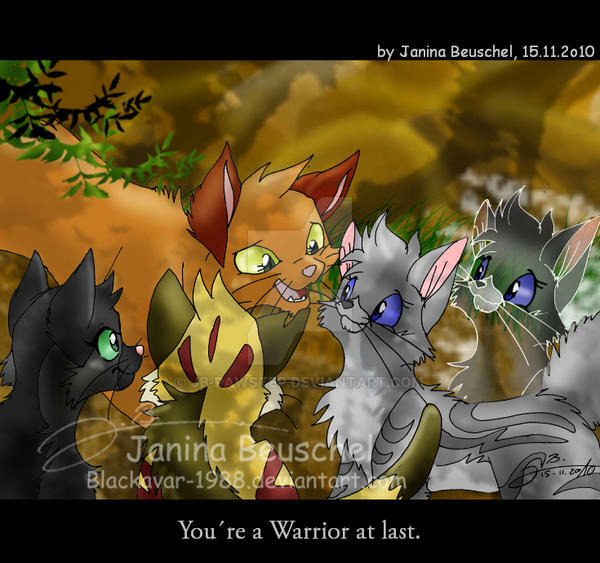 ...Warriors just got even more confusing xD Hoping to get the rest of the book this xmas! 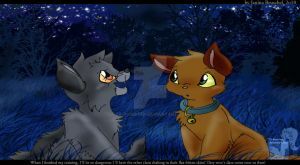 Is the cat next to Cinderheart supost to be cinderpelt? Her past life? and P.S> AWSOME! Yes ;3 and thank you! 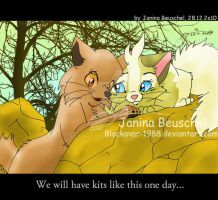 (EYES TEAR UP) this is beautiful! I find this SUPERBLY KEWL! May I use in my you tube video? Love the designs on the pelts! can you do a scene were -thinks of what i want..- uhh. 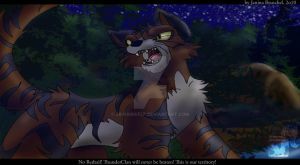 where tigerstar and hawkfrost comes to Lionblaze? aww...lovely! i don't know if you do requests? 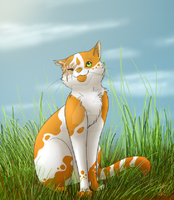 Finally somebody that believs (i cant spell XD) that FireStar Doesn't have stripes! AAnnyways, I decided to pester people with comments, because Nexon won't work. Awesome pic by the way. yes but that manga style is one of the worst styles i ever seen. ... seemed fine to me.